Steering Yorkshire to seal back to back Championship trophies doesn’t entitle Jason Gillespie to a quiet winter. The Tykes coach is gearing up to take charge and take on a new challenge back home in his native Australia. On December 5th he will fly to Adelaide, the city he attended college as a teen, and begin his coaching stint for the winter T20 spectacular that is the Big Bash. His new team the Adelaide Strikers enjoyed reasonable success last season winning six of their eight group games. They secured a semi-final place against the Sydney Sixers but came unstuck when the pressure was on, falling 87 runs short, knocking them out of the competition. The semi-final fixture took place in front of an ardent Adelaide Oval crowd of 52,633 and it is the huge attendances and competitive cricket which has led ‘Dizzy’ Down Under this winter. 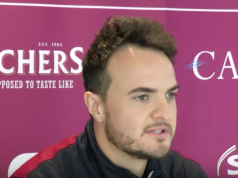 Speaking to the media on Yorkshire’s first day of pre-season training, Gillespie revealed the Strikers’ squad is still being finalised but he is ‘very excited’ about his winter workload and expects the experience to be ‘a lot of fun’. This season saw the now two-time county champions documented in a TV documentary called ‘Cricketing Yorkshire’. During one of his team talks Gillespie reminded his White Roses that despite their substantial four-day pedigree they are still a ‘one trophy club’ and urged his men to take the 2015 season as their opportunity to rectify their white ball form. Disappointing T20 and one-day campaigns saw Yorkshire fail to deliver any more silverware to Headingley this year and it is hoped that their coach can bring back some advice and action plans to solve their limited overs woes. The Big Bash is one of the most successful T20 leagues in the world and attracts the sport’s biggest names. 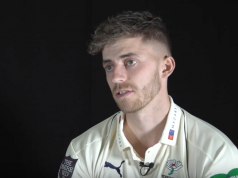 Gillespie admits this offer was an opportunity too big to miss and hopes that by focusing on T20 he can return to Yorkshire refreshed and ready to lead his county to victories in all three formats. “I certainly want to help Yorkshire improve our fortunes in the shortest format,” he said. Having already added the all-round strength of England one-day star David Willey to their ranks and with plenty of time remaining to attract additional armoury, Gillespie admits it is not necessarily the team sheet which is the cause of their disappointing form but may be their application of tactics – something which he will take personal strides to improve whilst coaching the Strikers. “I certainly think Yorkshire are a better squad, a better team than we’ve shown [in T20 this year]. The first year I got here we made Finals Day but since then we’ve been pretty ordinary and we need to improve that. It is a case of tackling a challenge head on for Gillespie and going into his new dressing room with eyes and ears very much open. Whilst some would look on a second County Championship title as the perfect excuse for a long holiday and time away from the cricket pitch, the former fast bowler is now looking to his next challenge and on to next season. The Strikers play their first match on December 18th at the Adelaide Oval against the Melbourne Stars.